Eric Howell is an American director, whose short film "Ana’s Playground" was awarded on Santa Barbara International Film Festival and Central Florida Film Festival. His newest work is "Voice From The Stone", in which "Game of Thrones" actress Emilia Clarke plays one of the main characters and for which Amy Lee from Evanescence wrote a song "Speak to Me". In the interview Eric Howell is talking about making the movie, his inspirations and upcoming film projects. 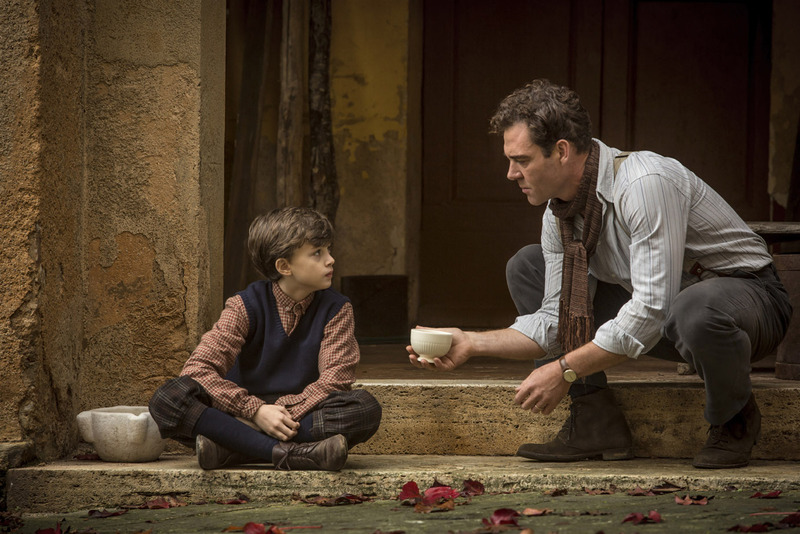 "Voice From The Stone", the thriller you directed, tells the story of an indestructible bond between a mother and son, which is stronger than death, and it is based on the Italian novel "La Voce Della Pietra". How did you become acquainted with this story and decide to turn it into a film? The script was given to me by producer Dean Zanuck. Written by Andrew Shaw, it was a script that made me want to read under a blanket with a flashlight. For me it was always a gothic romance which is different than the original book. I didn’t read the book until much later in the process and can say that our final film interoperation really is it’s own story. However, at the core this was a very Italian story and the producers and I were very much committed to keeping it that way. The story told in "Voice From The Stone" resembles a bit a classic gothic novel "Wuthering Heights" and is a kind of tribute to gothic romance films made by Alfred Hitchcock in the 1940s. 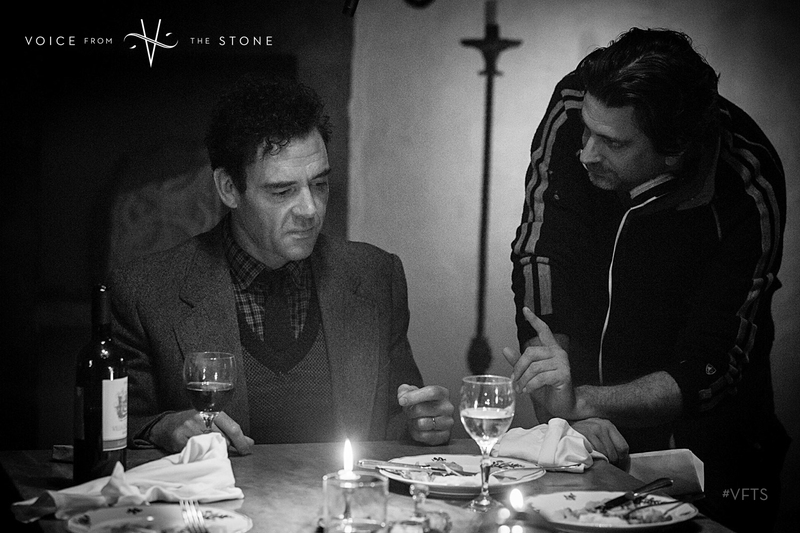 How could you describe your main influences and inspirations in directing "Voice From The Stone"? Well, certainly Hitchcock’s "Rebecca" was a major influence for this film specifically. The list of people who inspire me is quite long - everyone from Sam Mendes to Steven Soderbergh, to Lasse Hallström and Guillermo del Toro… Actually, as I work I’m trying to keep them out of my head because it’s too easy to try and compare - and then never live up to those great filmmakers. I’m just trying to do my best to find my own voice, and with any luck have an opportunity to make more films. One of the most important factors which makes your project so special is its international and very talented crew - Emilia Clarke from "Game of Thrones" and Marton Csokas from "Lord of the Rings" play the main characters, and Amy Lee made a song "Speak to Me" especially for the movie. How did you manage to involve such a great artists in "Voice From The Stone"? What are your memories from your work with them? When you work with people at this level you understand that they are at this point in their career for a good reason. Because of their own confidence they expect hard work, not perfection. I found that by showing up very prepared, having strong ideas but also an open mind to their ideas served the process very well. Sometimes I didn’t know the creative answers they were seeking, but everyone was always open to exploring them together. It’s a balance of full preparation and the willingness to throw that preparation out the window when you need to. 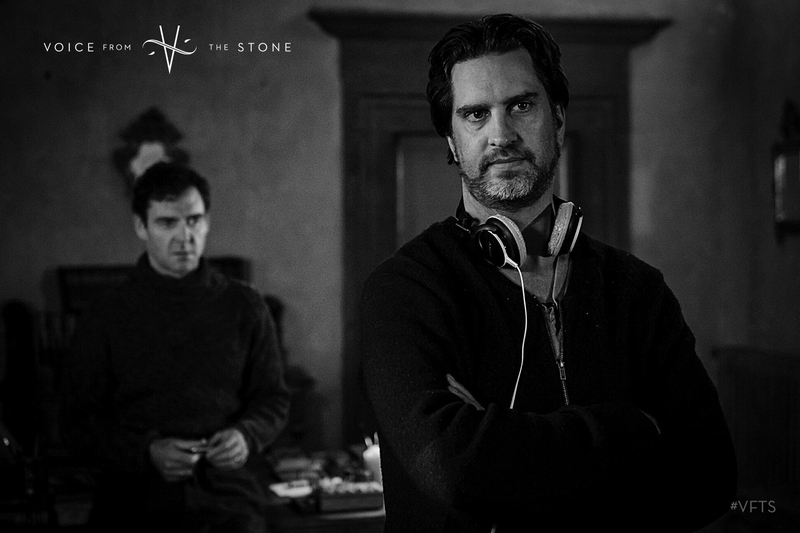 "Voice From The Stone" is your feature film directorial debut, but you have directed some short films before, for example "Ana's Playground" and "Strangers". What was the most exciting thing about making your first 90-minute long film? What are the main differences between working on a short and a feature film? The best part is the people - the calibre of people that I had the opportunity to work with is really the reward. Working on a longer project allows a family to be created and the process together has been imprinted forever in my mind - a true gift. I had an opportunity to collaborate with actors in a way that a short film simply cannot offer - a feature allow you to breathe a bit! Both in "Ana's Playground" and "Voice From The Stone" the plot is focused on a child - a child of war Ana and silent orphan Jakob respectively. How it is like to work with such young actors? Do you have to treat them in a little bit different way than their older collegues? In directing as in parenting I have found that one should never talk down to a child. Treat them as you do other actors. The biggest difference is the choice of words because a vocabulary with a child won’t be as robust as that of an adult. Children love to play and pretend, so often they can be easier than working with an adult because there is no baggage and fewer doubts. However, what you gain here is lost in the attention span for a child, so it is important to work quickly. "Voice From The Stone" premiered in select theaters on 28 April 2017 and the trailer of the movie was very promising and exciting. Have you already got any plans for the next projects? Can we expect more films like that directed by you in the future? I’ve got two personal projects going. One is a script of mine that’s been picked up as a graphic novel titled "The Revolution of Cassandra". Think of it a a contemporary "Raiders of the Lost Ark", but instead of a pistol and whip, the protagonist is a woman with dreadlocks and Birkenstocks who fights for her idealism in the middle of a Central American civil war and inadvertently changes the world around her. "The future is feminine!" The other is a script I co-wrote titled "Killing Roma" which is going out to cast at the moment. It’s the story of a meticulous assassin forced together with a suicidal femme fatale who wants him to kill her after causing him to miss his original target. They spend the night on a journey through a romantic city and fall in love… Sort of "Lost In Translation" meets "Léon: The Professional".